Stolen Moments, Take Five, Cantaloupe Island, In Walked Bud, Psychedelic Sally, the Sidewinder, Free Cell Block F, Tis Nazi USA. 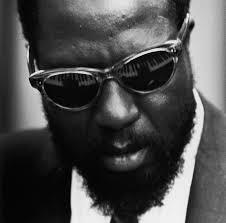 Better know as Thelonious Monk, he was born on 10 October 10th, 1917 in Rocky Mount, North Carolina, USA, and died: 17 February 1982 in Weehawken, New Jersey, USA (aged 64). Among the most influential musicians, especially amongst pianists, of the twentieth century. 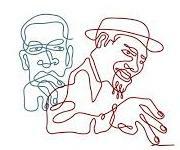 Monk had a idiosyncratic improvisational style, both musically and visually, and made numerous contributions to the standard jazz repertoire. He is often regarded as one of the founders of bebop, though his playing later evolved away from that style. Both his prolific compositions and improvisations are full of dissonant harmonies and angular melodic twists, consistent with Monk’s unorthodox approach to the piano, combining a highly percussive attack with abrupt, usually very dramatic, usage of silences and hesitations. 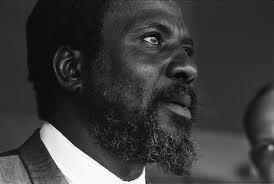 He was also renowned for his distinctively sartorial style in suits, hats and his trademark sunglasses. He was also well known for his actions on stage during performances. While the other musicians in the group continued playing, he would sometimes stop, stand up from the piano, dance for a few moments, and then return to the piano and continue playing. Whether this was part of his act or because he was entranced in his art form has never been substantiated in the few interviews with him. One of his regular dances consisted of continuously turning counter-clockwise, which has drawn comparisons to ring-shout and Muslim Sufi whirling. Monk is also one of only five jazz musicians to date to be featured on the cover of Time magazine (the other four being Louis Armstrong, Duke Ellington, Wynton Marsalis, and Dave Brubeck). Thelonious Monk with John Coltrane (1957 recordings, 1961 issue) – Inducted into the Grammy Hall of Fame in 2007. Monk recorded the tune several times during his career, starting with the 1947 sessions for Genius of Modern Music. 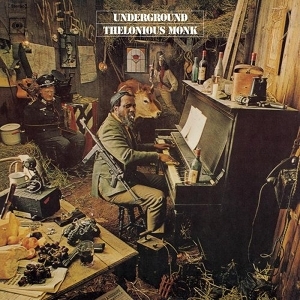 The last recording by Monk is from the 1968 album Underground, with lyrics and vocals by Jon Hendricks. The song has been covered by numerous jazz artists and is considered a jazz standard.